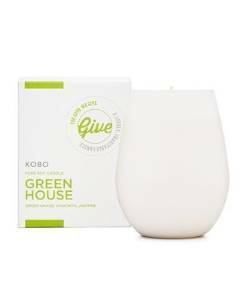 Kobo Candles have introduced another amazing collection of scents and this time - your purchase includes a gift of charity to an organization of your choice. The perfect 2 for 1 gift in the spirit of giving to those in need! The milky glass container is a soft shape with a delightful glow that makes a gorgeous pen cup once the candle has burned down. Charity Organizations to chose from include, Nothing But Nets, Adirondack Council, Doctors Without Boarders, and the Global Fund for Women. Each candle includes a unique code enabling you or your giftee to choose where the funds are donated.